Ellucian Live 2017, in Orlando FL, featured state of the art technology including VR, Augmented Reality and Holographic projection technology. This 3d hologram projector was exhibited as part of the event to demonstrate possible holographic interface technologies that may be available to students in the near future. The interactive holographic display presented an option of futuristic messages and presentations aimed at future students. It proved a very popular attraction at the annual trade show. 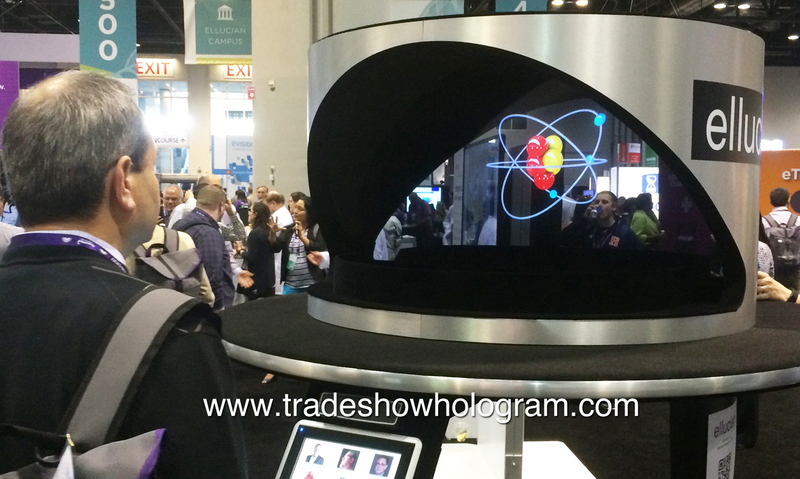 This entry was posted in Past Projects and tagged 3D, Ellucian Live 2017, florida, hologram interface, interactive, Orlando, projector, students, trade show by TimothyDrake. Bookmark the permalink.